Strong winds are expected in most parts of the country on Tuesday along with a dip in temperature, the Qatar Met department has said. A cooler weekend is in store as the Qatar Met department has said strong northwesterly winds from Thursday until Saturday will lead to a significant drop in temperature. It’s going to get cooler in the country this week with the temperature dropping to less than 15C in some parts, the Qatar Met department has said. 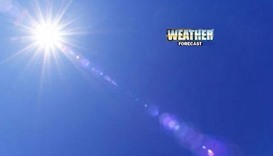 A maximum temperature of 43C is forecast in Doha on Saturday, according to the Met office. 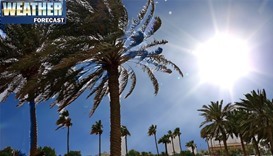 The temperature is expected to increase in the coming two days and exceed the mid-40C levels in Doha and most parts of the country, the Met Department said yesterday, advising people to avoid direct exposure to sunlight. 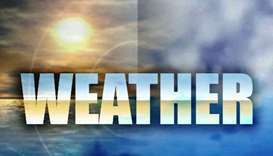 On Thursday, the mercury level is likely to rise to 48C in Al Khor and 46C in Doha. 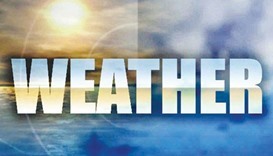 A maximum temperature of 38C is forecast in Doha on Tuesday, the Met Office said. Mercury is expected to spike to early or mid 40s on Saturday, Qatar Meteorological Department announced in a tweet on Friday. 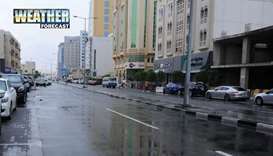 Strong winds are expected in parts of the country today along with thundery rain at times, the Qatar Met department has said. 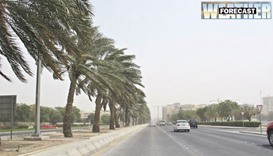 Strong winds, dusty conditions and poor visibility are expected at times in parts of the country on Wednesday, the Qatar Met department has said. Wind speed may go up to 25 knots inshore during thundery rain and 22 knots offshore in the early hours of the day, with the sea level rising to 7ft.